When most people hear “rabies,” they imagine snarling animals dramatically frothing at the mouth. While this is definitely a simplification and not always true, it is also not completely false. Rabies is a deadly and frightening disease that can affect all warm-blooded animals, including squirrels. Knowing the signs of rabies is important, especially when interacting with animals. Rabies is actually very rare in small mammals like squirrels. 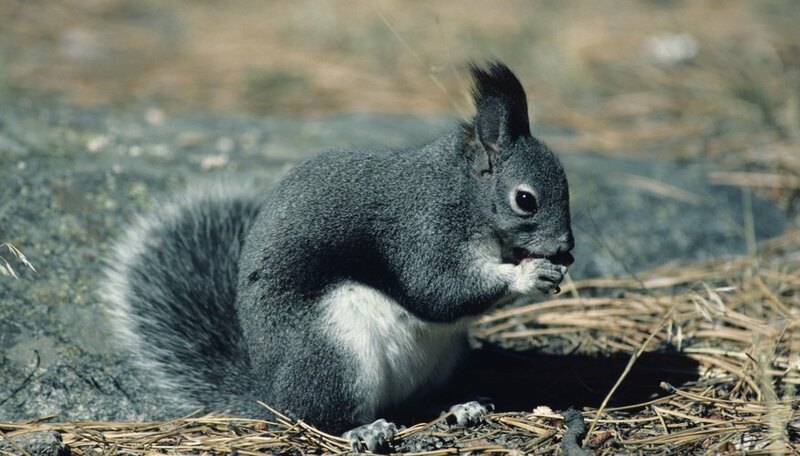 The best sign that a squirrel or any animal might be infected with rabies is any out of character behavior. This might include lethargy, falling over, walking in circles, paralysis (total or partial), unprovoked aggression or unexplained fearlessness. Rabies, or Lyssavirus, is a viral disease that impacts the central nervous system of mammals. It is zoonotic, which means the virus can pass from an animal to a human. Transmission generally occurs after exposure to the saliva of an infected animal, usually after a bite or contact with an open wound or mucus membrane like eyes, nose or mouth. Most communities take rabies very seriously because once symptoms of the disease appear, it is almost always fatal. However, humans at risk for contracting rabies, for example, after an animal bite, can receive post-exposure prophylaxis immediately after the encounter. This treatment consists of a passive antibody called human rabies immune globulin (HRIG) in combination with a series of four or five rabies vaccinations. Fortunately, this treatment is always effective when sought promptly. While all warm-blooded animals can contract and transmit rabies, some animals are very low risk. These include most small mammals like squirrels, rabbits, mice, rats, moles, hamsters, guinea pigs, gerbils and chipmunks. Generally speaking, even bites sustained from these low risk animals don’t require special care to guard against rabies. High risk animals include wild raccoons, skunks, foxes, coyotes and bats. Animals kept as livestock or pets like cats, dogs and cows may also be high risk unless they have been vaccinated against rabies. When a human receives a bite or other exposure from one of these high risk animals, the animal may be quarantined for a period of ten days to see if symptoms develop. Even though it is very unlikely to encounter a rabid squirrel, it is still a good idea to know the signs of rabies infection. The rabies virus affects the central nervous system, usually producing encephalitis or inflammation of the brain. This condition leads to the symptoms usually associated with rabies, including paralysis, blindness or sensitivity to light, loss of balance, aggression, confused behavior and mood changes. The classic symptom of excessive saliva or foaming at the mouth only sometimes occurs as a result of paralysis in the throat or jaw. One of the most common signs of rabies is weird or unexpected behavior. This uncharacteristic behavior usually takes one of two forms: extreme aggression or unusual docility. Aggressive animals may be vicious, snarling and biting while docile animals seem to lose their instinct to avoid humans and appear unusually calm and approachable. There are other diseases that bear similarities to rabies. In some animals, the symptoms of distemper can look like rabies. Specifically in squirrels, the roundworm brain parasite brings symptoms remarkably like those associated with rabies. 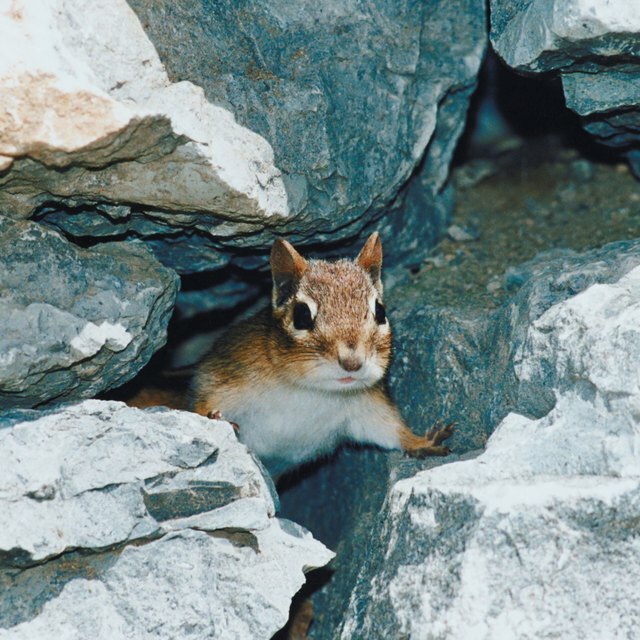 When it comes to wild animals, including squirrels, the best choice is to avoid interacting with them altogether since animals can carry rabies for months before they show symptoms. It is especially important to avoid animals that exhibit strange or unexpected behavior. Anyone who receives a risky animal bite or other exposure to rabies should contact a medical doctor or public health official immediately. Mayer, Melissa. "Signs & Symptoms of Rabies in Squirrels." Sciencing, https://sciencing.com/signs-symptoms-rabies-squirrels-5578992.html. 23 April 2018.